The Axon 7 from ZTE is a fine option for people who prefer unlocked handsets. It works well with both AT&T and T-Mobile and at $400 is much more affordable than the top phones from HTC, Samsung, LG, and Motorola. Moreover, the Axon 7 competes well with the Alcatel Idol 4s, Huawei Honor 8, and OnePlus 3, which are all vying for the same market. ZTE did an excellent job crafting and assembling an attractive and high-quality piece of hardware. The Axon 7 has a premium metal unibody chassis, gorgeous screen, incredible battery life, and decent voice/data performance. The Snapdragon 820 processor delivers speedy performance and having options such as expandable storage should appeal to some buyers. I'm glad to see Android 6 Marshmallow aboard the Axon 7, and ZTE's customizations allow owners to tweak much of the experience to suit their own preferences. The fingerprint reader is a standout. The ZTE Axon 7 is well worth a look if you're in the market for a solid flagship smartphone that doesn't carry a premium price. 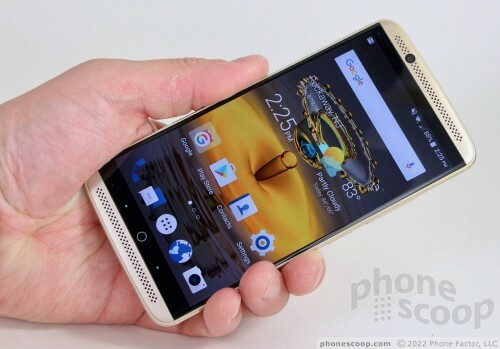 ZTE today began pushing Android 7.1.1 to its Axon 7 flagship smartphone. The Axon 7 is one of the first devices other than Google's own Pixel handsets to receive this update.